When the M.C. Escher inspired puzzle video-game Monument Valley came out last year, I knew I had to check it out. The more so when it started getting rave reviews and winning awards. But with so many other things to hold my attention, I never managed to get round to it. The recent decision of the creators to make a version available for free prompted me to finally take a quick look. Not that it had been expensive. Rather, a tweet about the new free version happened to come when I had an hour or so of free time on my hands. That free hour got immediately swallowed up, as did many more hours after that. I was hooked from the getgo. Anyone who is intrigued by those impossible figures that Escher made famous, even those of you with little or no interest in puzzle (video-) games, will surely be captivated by Monument Valley, where the solution to many of the puzzles involves orienting the figure to create an illusion of a continuous object. For when the player views the object as continuous, characters in the game that traverse the figures can move along it. Impossible chasms that prevented a character’s progress suddenly disappear as you rotate the entire figure just the right way. It’s not a learning game. I don’t see a player learning any new mathematics. But what it does is provide a rich, immersive experience of complex geometrical spaces from the inside. As a player, your task is to assist the princess on her quest, which involves finding her way through a fantasy world of Escher-like structures, the geometry of which you can sometimes change as you progress. By projecting yourself into the princess, you get a sense of what it would be like to live in such a world. And a beautiful world it is. The creators, based in the UK and operating under the name UsTwo, have crafted a series of truly gorgeous fantasy worlds, which you encounter one after another. It is not so much a game as a collection of interactive pieces of art where you play with, and experience, geometric shapes. In fact, it is the artistic creation that the developers bring to the work. The idea of taking Escher worlds and turning them into a puzzle game goes back to a 2007 video game called Echodrome, designed for the Sony Play Station 3 by the Japanese designer Jun Fujiki. By all accounts it was fiendishly difficult, and never broke out beyond a small group of hard-core puzzle aficionados. Monument Valley shows the huge difference presentation can make. If you want to hold people’s attention, you often need to think carefully about the medium. The message on its own may not be enough. That holds in the math class or the math lecture hall as much as in a video game. Regular readers of this MAA blog or my other blog profkeithdevlin.org will know that I have a long-standing interest in video games, particularly so as an educational medium, where I am professionally active as a player, a learning researcher, and an entrepreneur. In fact, much of my career has involved looking for ways to use different media to make mathematics accessible to as many people as possible. I have authored many “popular mathematics books”, written for newspapers (MAA compilation of some of my articles here), worked on television programs (including A Mathematical Mystery Tour, BBC-tv 1984; Life by the Numbers, PBS 1998; and NUMB3RS, CBS, 2005-2008), and of course there is my regular Math Guy radio gig for NPR, which started in 1994. More recently, in 2012, I launched the first ever math MOOC on Coursera (the seventh session just ended). I even made a foray into using music, song, and dance, with the 2007 show Harmonius Equations. To me, video games are one more medium to carry mathematical content. In fact, when it comes to K-12 mathematics, video games are in many ways the most effective medium we currently have to provide good math learning, as I tried to articulate in a book I wrote in 2011, and a presentation I gave at the big Teaching and Learning 2014 conference in Washington D.C. last year, a 20-min video summary of which is available here. I’d seen reports earlier that made similar claims, and dismissed them as product- marketing masquerading as research. It was only when the first of the two particular studies I cited above came out in late 2014, carried out by Prof Jo Boaler’s research group at Stanford University’s Graduate School of Education, using my own math learning video game Wuzzit Trouble as the intervention, that I sat up and really took notice. Breaking the Symbol Barrier – human-friendly representation (not the traditional abstract symbols of math textbooks). Focus on developing number sense and problem solving ability. Instant feedback (both positive and negative). Steady flow of dopamine – known to have positive impact on memory formation and consolidation. Learning through failure – in a playful, safe environment. “Failure” treated – and regarded – as “not yet succeeded”. Lots of repetition – but at the demand of the student/player. My current guess is that all of these factors, and likely others, are at play in those dramatic learning outcomes. The only way to find out for sure, of course, is to do more research. A lot more. Prof Kiili, now back in Finland, is already hard at work on that, as am I and some of my colleagues at Stanford. And we are by no means alone. The field is wide open. Stay tuned. (Even better, get involved.) Truly, it’s an exciting time to be involved in mathematics education. Meanwhile, I have to sign off. Monument Valley is calling. 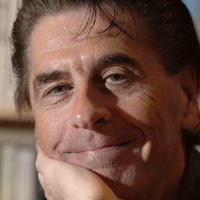 Mathematician Keith Devlin is the Executive Director of the Human-Sciences and Technologies Advanced Research Institute (H-STAR) at Stanford University and The Math Guy on NPR's Weekend Edition. 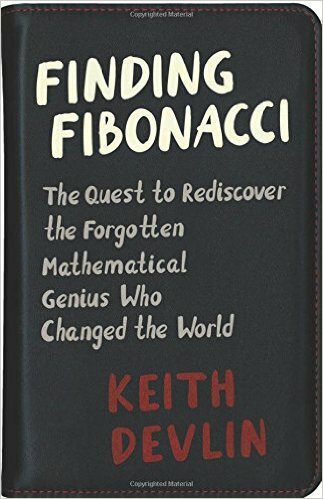 His most recent books are Introduction to Mathematical Thinking, Mathematics Education for a New Era: Video Games as a Medium for Learning (AK Peters/CRC Press), The Man of Numbers: Fibonacci's Arithmetic Revolution (Walker & Co), and an e-book short Leonardo and Steve: The Young Genius Who Beat Apple to Market by 800 Years. 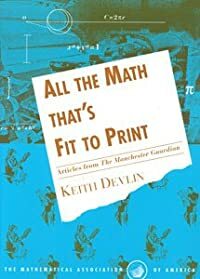 Devlin's Angle is a monthly column sponsored by the Mathematical Association of America. Find more columns here. This column does not reflect an official position of the Mathematical Association of America.